The grain silos in Buffalo's Old First Ward have been an attractive location for the city's experimental artists for many years. These vast, now empty structures are the site of several well-known events, including the Silo City Reading Series, the City of Night festival, and the Silo Sessions video series. Most of these events take advantage of the resonant acoustics of the large grain elevators, using the silos' natural reverberation to extend and transform a wide variety of sonic art forms, from folk music to literary readings. Last week's Decay/Reverberate, however, took a different approach. Sponsored by the Robert and Carol Morris Center for 21st Century Music's co-sponsorship program, and presented by Null Point, a Buffalo-based platform for experimental music and sound art, the four-day event (June 11-14) centered around site-specific works that recognized not only the silos' acoustic features, but also their architecture and history—a history that is entangled with often-troubling subjects like habitat destruction and labor exploitation. 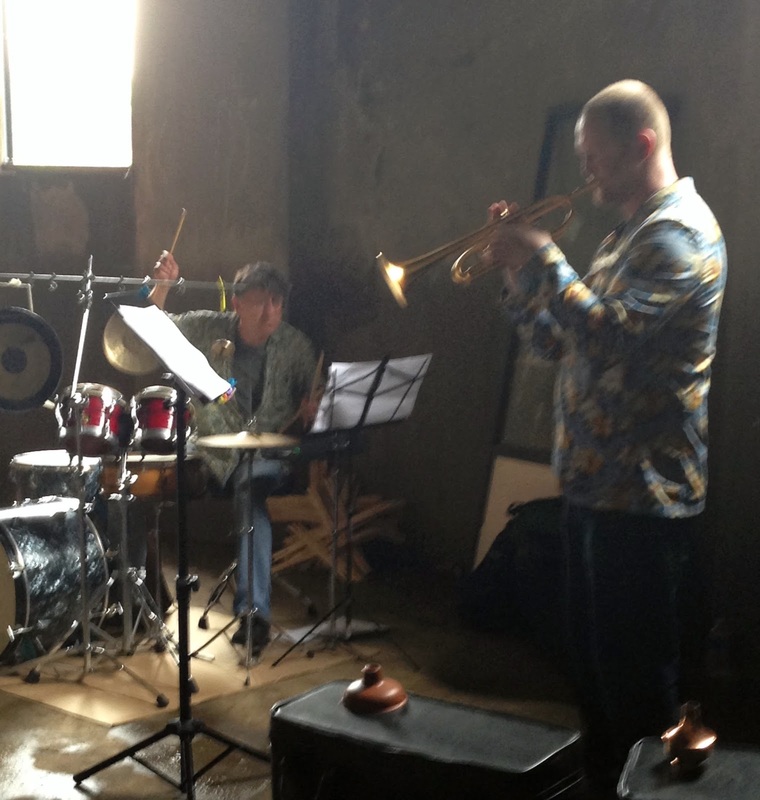 Event curator (and UB composer) Colin Tucker sought out works that "build new musical and sonic syntaxes from the ground up in dialogue with the site, revealing Silo City in new and unexpected ways." Null Point's call for works attracted a surprising number of artists—with submissions coming from 18 countries on 5 continents—all eager to engage with the site in this way. Tucker developed a curatorial strategy he called 'double negation': "[The] site and aesthetic negate each other, creating a third space which is not reducible to either, and yet which opens up unnoticed aspects of both. The site provides resistance to aesthetic business-as-usual, while the artwork brings into focus aspects of the site that might not be apparent in its everyday existence." This resulted in a program of works that were site-specific not only in their dependence on the physical and acoustic properties of the silos, but also in their reckoning with and consideration of their social and ecological history. For some artists, this entailed turning the silos themselves into a kind of large-scale musical instrument. One such work was Lena Nietfeld's "…some workers it casts into barbarous types of labor, and others it turns into machines", in which "the floor, walls, and the remains of metal grain hoppers are scraped and struck with a variety of objects of historical significance." These include shovels and brooms (used to move loose grain from ship hulls to the grain elevator) and beer bottles (representing the grain scoopers' dependence on saloon bosses). In Nietfeld's work, five musicians perform a repertoire of actions that reflect the kinds of work done when the grain elevators were fully operational. "In some cases this can be very visceral," Nietfeld explains, "but in other cases it is more subtle." Noting that the introduction of grain elevators to the waterfront produced a significant change in the First Ward's soundscape, the performers of "…some workers" do not read from a traditional score, but instead rely on cues from each other and/or unpredictable environmental sounds (bird calls, ships, machines, etc.). For the collaborative work, Slow Drip, media artists Tom Stoll and Ezra Teboul took the simple sound of dripping water—ubiquitous to abandoned industrial sites—and developed it into an expansive sonic sculpture. Based around a set of hanging bowls which slowly drip water into each other—mimicking the funnel structures of grain silos—the piece used opto-interrupter sensors to measure the dripping, and relayed this information to a computer, which spontaneously created real-time sonic responses from a repertoire of drop-like sounds pre-recorded by clarinetist, Krista Martynes. Shannon Werle, a Dartmouth-based artist specializing in the intersections between architecture, sound, and urban research, offered Filter Index. A culmination of months of research into the relationship between impulse-location and tone-color, the piece consisted of several dozen balloons positioned throughout the silos popping in succession. This activated "the reverberant interior of the Marine A elevator, making manifest the unique acoustic architecture of the silo." Werle has created a preliminary fixed media version of this piece—with an accompanying video diagramming each point's location—which can be seen below (additional documentation from Decay/Reverberate will be released on Null Point's website over the coming months). Other pieces included works by frequent Center collaborators Daniel Bassin and Matt Sargent. 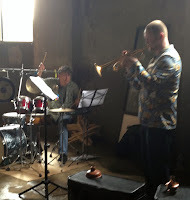 Bassin performed his Typographies II: Opera, a series of 35 improvisational modules for trumpet (Bassin) and drum set (UB percussionist John Bacon). The piece—based on a compositional germ Bassin first cultivated in a string quartet composed for the Ardittis at June in Buffalo 2010—utilized the silos' reverberations as a "virutal third player" and was subtitled "sempre pianissimo": referring to the 'intensity of listening' demanded by the piece as well as the "potential violence that comes as soft sounds give way to silences." Sargent's Tide (10+1 basses) was a collaboration with bassist Zachary Rowden. The work's eleven lines (10 recorded + live performer) consisted of an interaction between software and improvisor, just as its realization depended on an interaction between sound, space, and audience. Nearly all of the nearly twenty pieces featured at Decay/Reverberate were world premieres, composed especially for this site and this event. One of the few exceptions was a performance of James Tenney's classic having never written a note for percussion, a frequently-performed open work for percussion, consisting simply of a crescendo from pianissississimo to fortissississimo and back again. During last week's realization, percussionist Brandon Bell performed the work as an extended roll on a simple gong. "However," Tucker notes, "the real instrument was not the gong but the silo itself—as the gong's volume rises, the silo begins to 'sing' as its resonant frequencies become activated." The singing of the silos was a integral—if not deliberately understated—component of Tucker's own work, surplus, an electroacoustic installation whose specific location was unannounced. In surplus, two unmarked speakers played back a large number of field recordings taken at Silo City, which had been overdubbed and filtered in order to reinforce low frequency broadband noise emanating from nearby industrial fans and distant traffic. As a result, the sonic environment near the concealed speakers became something of an acoustic black hole, as the speakers strongly emphasized certain ambient sounds while masking others. "[I] liked the idea of just strolling around the site and [wondering] 'What's that going on over there?" Tucker told WBFO. surplus aligns closely with Tucker's original curatorial project, as the piece, in his words, "materializes a socio-ecological contradiction in sound, denaturing the site's present day scene with faint traces of the unresolved antagonisms constitutive of its past." April in Paris is a well-known song by Vladimir Dukelsky (aka Vernon Duke) and May in Miami refers to a month of cultural and community activities in its eponymous city. But June in Buffalo? Here our seasonal conceit might founder except among those of the musical cognescenti who are aware of Buffalo's unique reputation as a North American center for contemporary music. Buffalo, at the eastern end of Lake Erie, is one of those American "rust belt" cities—like Cleveland, Akron, Youngstown, and Pittsburgh—that had a solid cultural foundation laid by its nineteenth-century German and Slavic settlers, and then in the late 20th came upon both hard times and population loss as the muscle of American industry was outsourced abroad. Yet, for anyone who chooses to look closely, the city has maintained its vivid cultural and architectural life into the present, whether in its blocks of nineteenth-century row houses and Frank Lloyd Wright designed dwellings, the Albright-Knox Museum of Art with its renowned collection of twentieth-century American paintings, the excellent Buffalo Philharmonic or the University at Buffalo with its tradition as a vital contemporary music hub going back to the 1960s. It was the latter, in fact, that in 1964 became host to the Center for the Creative and Performing Arts—and a home to the composers and performers who constituted it—during a period that saw the proliferation across the United States of that strange new beast called the "new music ensemble". Buffalo's was one of the best-funded and supported and, under Lukas Foss and Lejaren Hiller, continued to function until 1980. Meanwhile, Morton Feldman had joined the UB faculty and founded and directed the June in Buffalo Festival from 1975 to 1980, after which point it became dormant for several years. The next stage of the story—and the real point of departure for this article—commences with the arrival of David Felder as a new UB faculty composer-colleague of Feldman's in 1985. I first met David on a 1983 trip to San Diego where I'd gone to collaborate with Roger Reynolds on a project that became his Transfigured Wind series of flute pieces. At some point Roger indicated that he had a graduating student of whom he thought highly and who he thought I'd enjoy meeting, and thus it came to pass that David and I shook hands on a May afternoon at Roger and Karen's house overlooking the Pacific. Hindsight makes liars of us all, of course, but what I remember is meeting a dark, intense young man who introduced me to the score of his recently-completed Coleccion Nocturna, a work which caught my attention by virtue of its balance between a gently-enfolding, almost amniotic, nocturnal stasis and sharp, pointed outbursts. It represented in ovo if not in the flesh what I've come to call the Felder Style. A couple of years later Roger mentioned that David had taken a position at the University at Buffalo, and we both speculated as to how he would adapt to being a colleague of Morty's (and vice versa) and what effect he would have on Buffalo. We didn't have to wait long. In early 1986 I received a call from him re-establishing our connection and asking if I'd like to participate in a reborn June in Buffalo Festival now under his direction that would take place… well, in June and in Buffalo. I came aboard, though at the time with very little idea of what David planned or intended, just as I had little sense of the dimensions the festival would assume over time. Nor could I have predicted that I'd frequently be beating a path to Buffalo over the upcoming thirty years. The 1986 Festival brochure described it as "A Composer's Seminar" with a faculty of seven senior composers and a performance faculty of about fifty plus the Buffalo Philharmonic Orchestra. Given the university setting and the fact that the twenty-or-so younger composer participants were mostly of graduate student age and status, the academically-slanted designations were quite understandable. Most unacademic, though, was the first gathering of the faculty at Buffalo's legendary Anchor Bar the night before the festival began. Present were Felder, Feldman and Jerry Hiller of the UB faculty plus Jacob Druckman, Donald Erb, Bernard Rands and myself. Over drinks (potent) and chicken wings (hot and lots of them) and with live jazz in the background, David outlined his vision for JiB: each senior composer would give a two-hour morning lecture on his work and meet with small groups of the younger composers in scheduled master classes (or "mahsteh clahsses" as Charles Wuorinen later characterized them in his most plummy BBC accent). We would, as well, have a couple of our pieces performed, with time set aside for us to conduct or supervise rehearsals. In the meantime, the performance faulty was hard at work rehearsing not just faculty works but one work for concert performance by each of the younger seminar participants. Thus, the week-long festival featured a headliner concert every night along with two smaller concerts during the afternoon and master classes scheduled to fill the interstices between concerts. At the same time rehearsals for upcoming concerts would be going on all day and part of each night. Over the years, this has remained the basic template for the festival. What, of course, has varied have been the diverse and various musical contents that have been enclosed within it. As for the basic ingredients—composer participants, senior composers, and professional performers—there has been continuity embedded within slow change. The young composer participants must, even with a few repeaters, sum to close to 700 by now. They have come from all parts of the world, and from graduate music programs both renowned and little-known. The festival has given them a chance to try their wings, often for the first time, in a professional setting, affording them the opportunity to engage peers, senior colleagues, and professional performers in an intense and supportive atmosphere where music was the only item on the agenda. Many of their contacts with staff performers have spawned commissions and collaborations that have extended far beyond the week-long confines of the event, and numerous careers have been launched or received a boost there. The line-up of senior composers, too, has seen both stability and change, and has reflected a broad range of musical approaches and viewpoints. While I know that lists are not terribly exciting, I think that even a partial grasp of the festival's breadth and extent needs to take into account its roster of senior professionals over the years. That list's regulars and repeaters have included Jacob Druckman, Donald Erb, Brian Ferneyhough, Lukas Foss, Philip Glass, John Harbison, Philippe Manoury, Bernard Rands, Steve Reich, Roger Reynolds, Augusta Read Thomas (who became the first of the former students to advance to the ranks of the "seniors") and Charles Wuorinen. Other distinguished American composers who have participated over the years have included Martin Bresnick, Earle Brown, John Corigliano, George Crumb, Charles Dodge, John Eaton, Aaron Jay Kernis, Alvin Lucier, Mathew Rosenblum, Christopher Rouse, Gunther Schuller, Steven Stucky, and Nils Vigeland, as well as Jonathan Golove, Cort Lippe, and Jeffrey Stadelman of the UB faculty. There has been a strong international component, too, with visits from Jukka Tiensuu (Finland), Vinko Globokar (Slovenia), Jonathan Harvey and Simon Bainbridge (UK), Gerhard Stabler (Germany), Bent Sorensen (Denmark), Tristan Murail (France) and Joji Yuasa (Japan). The 2004 edition of the festival was focused on "Music and Computers" and listed nineteen Resident Composers including such notables in the field as Rand Steiger, Edmund Campion, Tod Machover, and Miller Puckette. In total, it's hard to imagine another city the size of Buffalo with so many distinguished musical visitors over the same time period. The "Buffalo Tradition," begun with Lukas Foss and then passed-on to Morton Feldman, has clearly had an exuberant third wave worthy of or surpassing the first two. JiB's performers, too, have represented a who's-who of leading new music ensembles and soloists. There being far too many to list in full, I'll mention as representative the ensembles assembled for the festival's two anniversary editions—2000 (25th anniversary of founding by Feldman) and 2010 (Felder's 25th anniversary). Thus, in 2000 resident ensembles included UB's Slee Sinfonietta, the New York New Music Ensemble, the New York Virtuoso Singers, and Steven Schick's red fish blue fish percussion ensemble. 2010 saw the participation of the Buffalo Philharmonic Orchestra, the Slee Sinfonietta, the Arditti String Quartet, Brad Lubman's Signal Ensemble from New York City and two European groups, Ensemble SurPlus and Ensemble Labortorium. The New York New Music Ensemble has, in fact, participated in almost all of the festivals since the mid-1990s, and Ensemble SurPlus, the Arditti Quartet, and JACK Quartet have been in residence several times as well. With the longevity of the festival has come growth, as well. In 1997 David Felder founded the Slee Sinfonietta, a resident professional chamber orchestra with a year-round season. 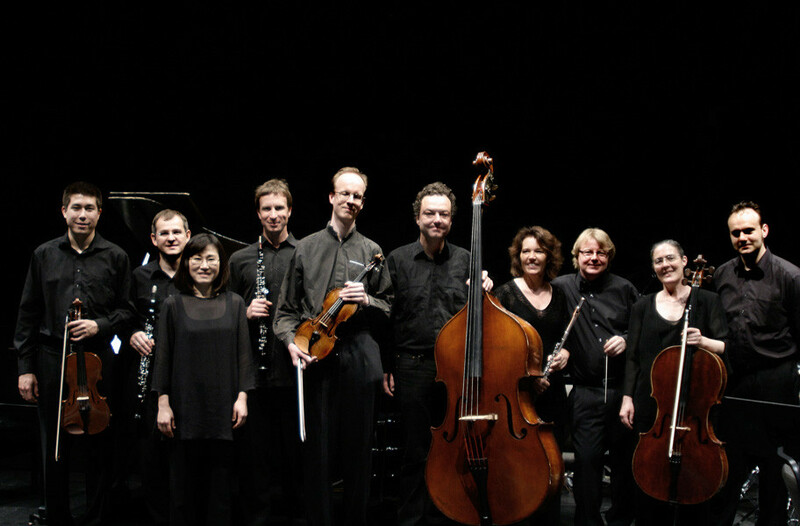 The Sinfonietta has been a participating ensemble in every edition of the festival since 2000. In 2006 Felder founded the Robert and Carol Morris Center for 21st Century Music to help support and coordinate the festival as well as the rich menu of concerts, lectures, visitors and other new music events that proliferate on campus during the academic year. The most recent addition to the "family" (2013) has been the June in Buffalo Performers Institute, an intensive course in contemporary music performance practice and skills, offered every other year, led and staffed by Music Department faculty. It functions as a kind of performers' equivalent to the Festival's offerings for composers. In overview, it seems to me that the only American summer music festivals to which JiB can be compared are Tanglewood and Aspen, and here the differences are manifest. Tanglewood and Aspen both run courses for young composers over an eight-week period, whereas JiB by comparison is a kind of "flash" festival lasting a week or at most ten days. Whereas T & A feature performances by excellent young student performers, JiB draws on professional specialist performers and ensembles, and in a week JiB's composer participants—20-25 each year (more than either T or A invite)—meet and interact with a range of composers, performers, and ensembles more extensive than the other festivals provide over their two months' span. Finally, there is a considerable difference between a festival centered entirely around new music and one which, whatever its virtues, is a kind of sideshow to a larger festival geared to more conventional musical tastes. Perhaps the nearest thing to JiB is Germany's Darmstadt summer music course, which packs a comparably intense schedule into a similarly short period of time. Behind all of this has been the imagination and guiding hand of JiB's Artistic Director, David Felder. For make no mistake about it, since he took it on, the festival has been David's baby, just as it was Feldman's before him. Along with its artistic direction, he has shouldered the burden of finding external and internal funding for it and maintaining support within the University through the usual cycles of economic boom, bust, and academic regime change. And inextricably related to the rise and growth of the festival has been Felder's role in helping lead the University at Buffalo's Department of Music to an enviable position among American musical-training institutions. With its prime focus on composition, and the performance of new music, the Buffalo Department of Music represents a welcome departure from the cookie-cutter sameness and seamless flatness of so many American musical incubators. While it's not for everyone, it is vital and necessary for those who desire a more comprehensive and intensive engagement with new music than most academic units afford. Complementing his stirring compositions, June in Buffalo, The Center for 21st Century Music, the Slee Sinfonietta, and the UB Music Department have become important aspects of what I would call David Felder's creative life's-work. Thanks to his vision, hard work and energy, the Buffalo Tradition has been both fostered and furthered, and the Third Wave has become a tsunami. Especially intriguing to me has been David's ability to keep the festival on target as a place of meeting and exchange between composers of all ages while still "making it new" in response to the various changes our field has undergone. Within its basic template, the festival has shed its skin and re-made itself numerous times over the years, whether in the form of new faces among the senior composers and performers or in the form of "project" years which have targeted particular musical topics. Thus, in 2001 the focus was local, as JiB celebrated the 100th anniversary of Buffalo's hosting of the 1901 Pan-American Exposition with programs featuring "A New Generation of Buffalo Composers." 2002 saw a focus on "Music and Text," 2003 on "Music and the Visual Image," 2004 on "Music and Computers," while 2005 took on the more general topic of "Sonic Virtuosity." 2008's edition returned again to "Music and Computers," this time engaging the full range of "algorithmic, interactive, multimedia, acousmatic, and electroacoustic computer music" in its description. The quality and relevance of these events is attested to over time by the presence at the festival of numerous European and American music critics and scholars, as well as by the visits of publishers and representatives of performing rights organizations which have become commonplace. Through all these years and changes my experiences as a participating composer, flutist, and conductor have come to constitute an important part of my life. By my count I've participated in 18 of JiB's past 30 editions, during which time I've enjoyed renewing old acquaintances and deepening friendships with various composer and performer colleagues as well as with many of the staff and production support crew. Concurrently, I've met scores of younger composers and become aware each year of music, composers, performers, and ensembles that were new to me and that have helped keep me abreast of music's new and breaking developments. Many of these interactions and discoveries occurred onstage or in lecture and rehearsal halls. Others were over meals or at the late-night watering-holes where we all, composers and performers united by thirst and post-concert excitement, met to shoot the bull and drink and eat into the wee hours. Alas, my tolerance for those wee hours has declined over the years, but these and other memories retain a vividness that attests to their intensity and staying power. SurPlus colleagues. It wasn't just the stunning quality of the musicians or the quiet guru-like certitude with which James led them, but the fact that both James and I saw it as the closing of a circle which we had opened twenty-eight years before when he at the piano and I with my flute had first played the piece together. This was made all the more poignant by Ensemble SurPlus's return to JiB in 2010, this time without James, who had died in the interim. He was a great musician and a wonderful person who all who knew him will miss and long remember. Lest I convey the wrong impression, though, all was not always sweetness and light at JiB. I recall being told after I'd conducted a piece of mine, that a senior composer—okay, it was Morty Feldman—and his entourage of students (1986) had very publicly walked-out after the first couple of minutes. Too bad. I wish I'd known Morty better, since I admire his music. And then there was the stuffed-shirt critic from the West Coast some years later, who, while on a panel, commenced to re-write the history of music in the 1960s in the most simplistic and neo-Stalinist terms ("heartless serialists, musical expressiveness crushed everywhere, blah-blah-blah"). As someone who'd participated in a small bit of that history, who'd been there, for God's sake!, I felt offended to the point where I couldn't refrain from abruptly cutting-in from the audience to set him straight. Rude? No question. The result? The next piece I had performed in Los Angeles received a totally excoriating review from this gent. I wore it as a badge of honor, and in fact included it in my next University of California review file (and got the raise). Then there was the young woman who I unwittingly drove in tears from my master class (sorry! ), and the soloist in a Wuorinen piece I was conducting, who grabbed several pages instead of the right one, causing a train wreck, and so on and so much more. But enough of stories told by the elders around the campfire! It's 2015 and David Felder is completing his thirtieth year at the helm of June in Buffalo. While the template for the Festival may have changed little from 1986 to 2015, the people and to some degree the musical content it encloses have and will continue to change. Thirty years have taken their toll, too, and several of the original 1986 faculty including Jacob Druckman, Donald Erb, Morton Feldman, and Lejaren Hiller are no longer with us. Others from those early years will be back, joined as well by younger colleagues. And this year, as always, the invited ensembles and performers will be among the best of those currently active here and abroad, and the young composers—our hope for the future, who always, of course, seem to get younger each year—will be out in force. Is it too much to hope for another thirty years under Felder's direction? A Fourth Wave? Time will tell, but in what counts—the here and now—anyone seeking a musical setting where near-utopian idealism is balanced and blended with the down-to-earth practicality of superb music making would be well-advised to set her sights on Buffalo this June.